Computer Cartoon 4806: A Chinese fellow watching beads fall off an abacus crying, "Oh no. An abacus virus!" 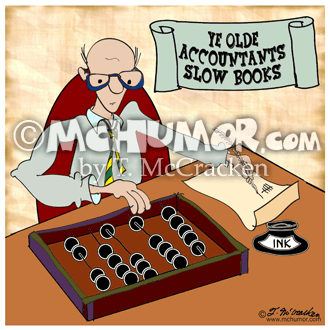 Accounting Cartoon 9179: "Ye Olde Accountants, Slow Books." A man uses an abacus and a crow quill pen. 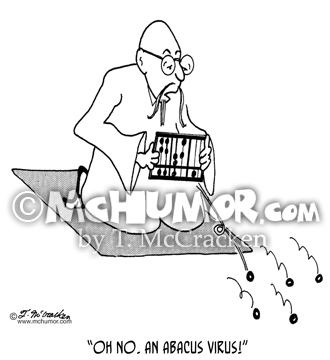 Engineering Cartoon 7526: A Chinese fellow with a wild abacus (beads going in every direction and in loop-di-loops, etc.) 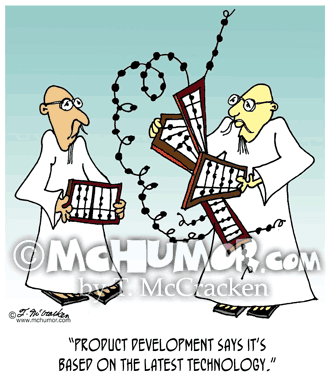 says to another holding a conventional abacus, "Product development says it's based on the latest technology." 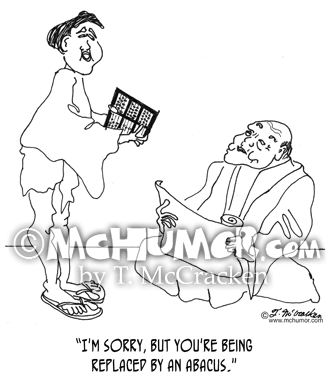 Abacus Cartoon 1186: Someone says to an old Chinese man, "I'm sorry, but you're being replaced by an abacus." 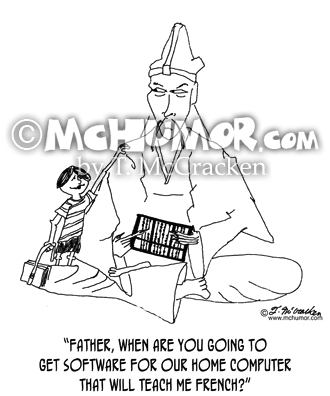 Chinese Cartoon 0146: A Chinese boy asks man with an abacus, "Father, when are you going to get software for our home computer that will teach me French?" 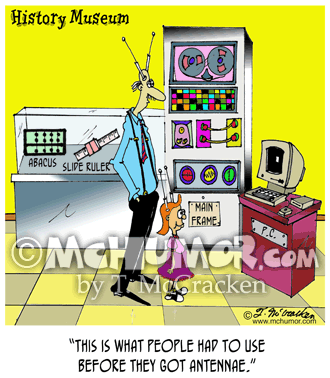 Science Cartoon 5835: A man and a kid with antennae on their head look at an exhibit at a History Museum with an abacus, a slide rule and a computer. The man says, "This is what people had to use before they got antennae." 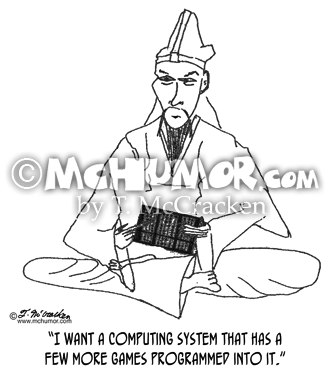 Computer Cartoon 0145: A man holding an abacus says, "I want a computing system that has a few more games programmed into it."